Susan Armstrong – A session on “Family Dispute Resolution in multicultural and multifaith Australia – What does it mean for Australian Muslims? This list does not include some presentations that are being delivered on the Research Forum Day, but it goes without saying that the Netowrk is also well represented at the forum. If you are a member of the Network and I have inadvertantly left a session of yours off this list, please let me know (james.duffy@qut.edu.au) and I will add your session to the list. On Friday 4th September 2015, LEADR and IAMA, two of Australia’s largest dispute resolution service providers completed the final stage of their amalgamation. LEADR and IAMA formally integrated on 1 January 2015. Previously, they had worked as separate organisations, seeking to improve awareness and quality of ADR practices in Australia. To an extent, they were also in competition with each other to attract membership fees, and to provide training programs to members of the public. The final part of their amalgamation was to announce a new name and logo. The new name is “Resolution Institute”. The logo is pictured below. Because organisations like the new Resolution Institute offer so many services and purport to do so many things, I’m always keeping my eye out for little statements that neatly sum up what they really do. I haven’t been able to find a branded Resolution Institute constitution yet, but I suspect that it will contain a purpose/object section similar to the LEADR & IAMA constitution. provide services to support the professional development and practices of DR practitioners. Are there downsides to LEADR and IAMA merging? In a recent post, I highlighted several textbooks that had been published by the ADR Research Network in 2014. This post is a quick summary of some of the journal articles produced by the network in 2014. Jonathan Crowe, ‘Ethics and the Mediation Community’ (2015) 26 Australasian Dispute Resolution Journal 20. Katherine Curnow, ‘Information, power and relationships: Minimising barriers to access to justice for end of life disputes’ (2014) 23(3) Australasian Dispute Resolution Journal 137. Kathy Douglas and Claire Coburn, ‘Attitude and Response to Emotion in Dispute Resolution: The Experience of Mediators’ (2014) 16 Flinders Law Journal 111. Susan Douglas and Kathy Douglas, ‘Re-imagining legal education: mediation and the concept of neutrality’ (2014) 7 Journal of the Australasian Law Teachers Association 1. Stephanie Duffy and James Duffy, ‘An analysis of dispute review boards and settlement mediation as used in the Australian construction industry’ (2014) 30(3) Building and Construction Law Journal 165. James Duffy and Rachael Field (2014) ‘Why ADR must be a mandatory subject in the law degree : A cheat sheet for the willing and a primer for the non-believer’ (2014) 25(1) Australasian Dispute Resolution Journal 9. Mary Anne Noone and Lola Akin Ojelabi, ‘Ethical Challenges for Mediators Around the Globe – an Australian perspective’ (2014) 45 Washington University Journal of Law and Policy 145. Lola Akin Ojelabi, “Dispute Resolution and the Demonisation of Culture” (2014) 25(1) Australasian Dispute Resolution Journal 30. 2014 was a busy year for the ADR Research Network in terms of research output. To mark January 2015, here is a quick snapshot of some of textbooks produced by the network last year. We will follow up with a post about 2014 journal articles in the not too distant future. 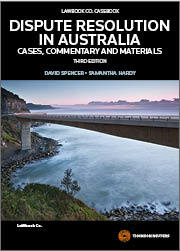 David Spencer and Samantha Hardy, Dispute Resolution in Australia: Cases, Commentary and Materials (Thomson Reuters, 3rd ed 2014). Find out more about this book here. 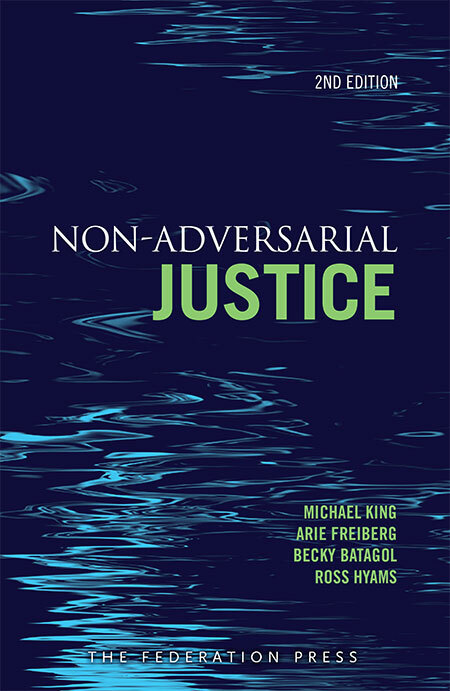 Michael King, Arie Frieberg, Becky Batagol and Ross Hyams, Non-Adversarial Justice (Federation Press, 2nd ed 2014). Find out more about this book here. 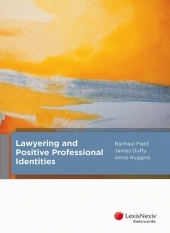 Rachael Field, James Duffy and Anna Huggins, Lawyering and Positive Professional Identities (LexisNexis Butterworths, 2014). Find out more about this book here.